The superb wet and dry hanlding is competitive with some of the best UHP summer tires available, but the Ventus VA es also gets twice the winter perfromance of the typical summer UHP tire. The best technological advances in profiles design, construction, tread pattern and tread compound have been applied together in one state-of-the-art tire. 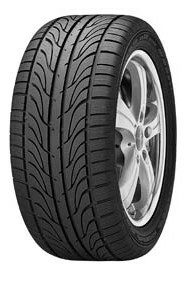 The result is a sophisticated tire that provides excellent handling in all weather conditions, along with an advanced, cutting-edge appearance.